BEIRUT, November 27. /TASS/. Lebanese Prime Minister Saad Hariri has said his country is ready to accept military aid from Russia that will be passed to the Internal Security Services, Al Mayadeen television said on Tuesday referring to an official report from the government press service. It said it referred to several million cartridges for the Kalashnikov rifle. 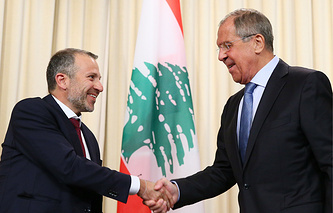 The Al Akhbar newspaper, for its part, said on Tuesday that Lebanon has not signed as of yet an agreement on military-technical cooperation with Russia that envisages a one-billion-dollar preferential loan to Beirut for the purchase of Russian weapons. According to the newspaper, the Lebanese government has come under strong pressure from the US and Western countries that are the main suppliers of arms for the Lebanese army.